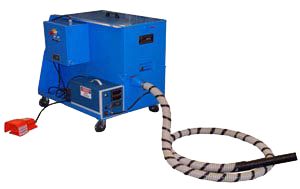 Our portable pneumatic-electrostatic flockers are designed for ease of maintenance and can be rolled to any location required and plugged into a standard 120 AC outlet. 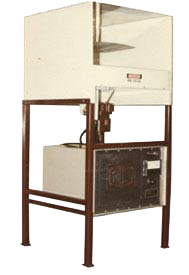 These flockers are used primarily for manually flocking 3-dimensional products. 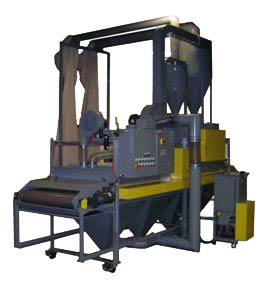 This system is used to apply flock to web and sheet products. 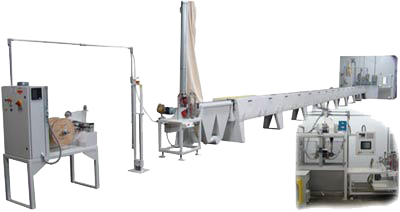 Includes a cleaning station and automatic flock feeding system. 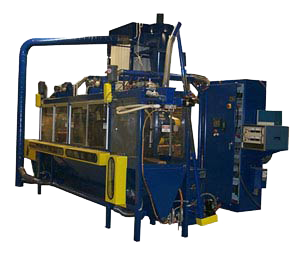 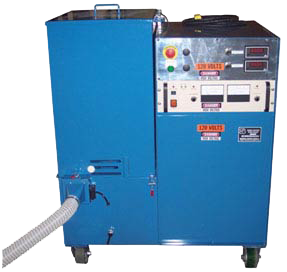 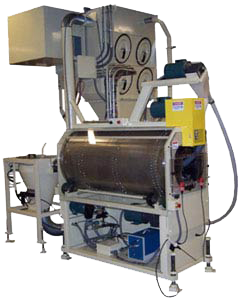 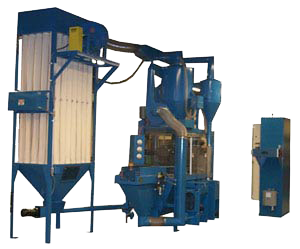 This system is used to apply adhesive and flock to cut thermoplastic extrusions. 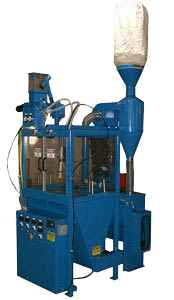 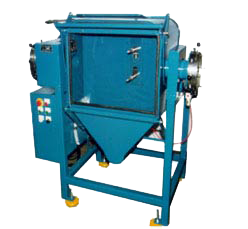 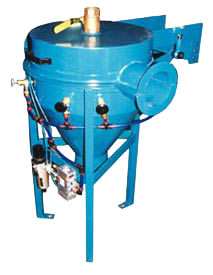 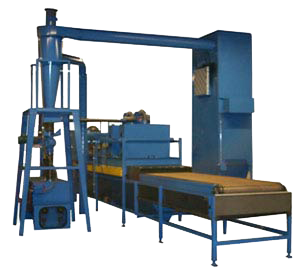 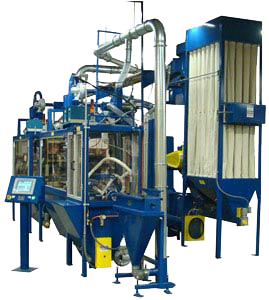 The system includes automatic part feeding, adhesive application, flocking, curing. 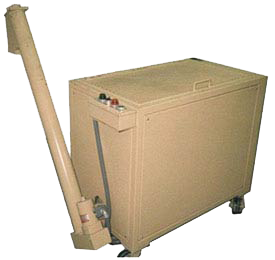 Electrostatic flocker for mats, sheet, or web products. 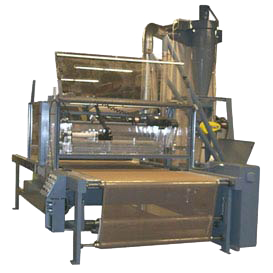 Mechanical flocking system for greeting cards, posters, or other sheet or web products. 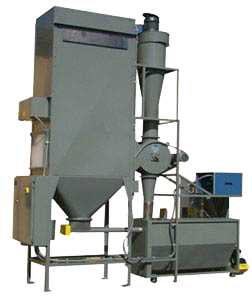 Drum Flocker with Dust Collector & Flock Blowoff Extrusion flocker: This machine utilized two flock stations for an extrusion which is flocked on both sides. 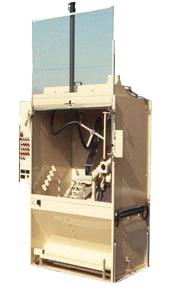 After passing through the first flocking station, the part is flipped over to be flock on the other side by the second flocking station.